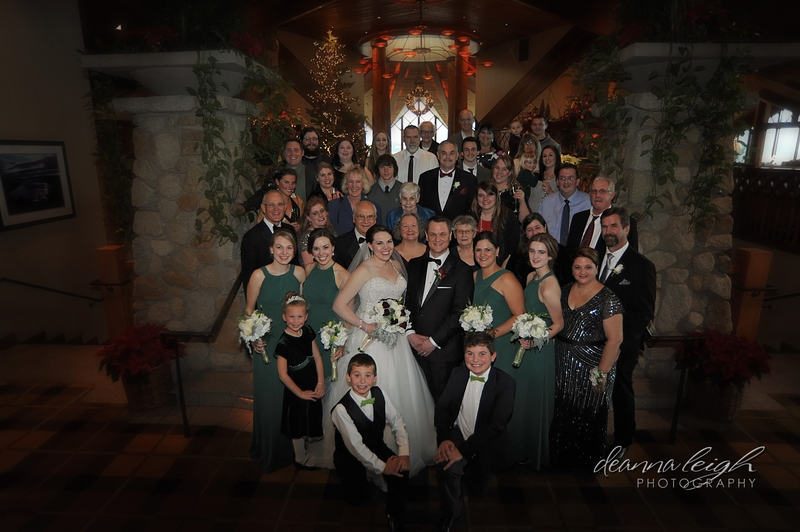 Whitney and Anthony were married at Edgewood Tahoe in South Lake Tahoe, California on December 22. 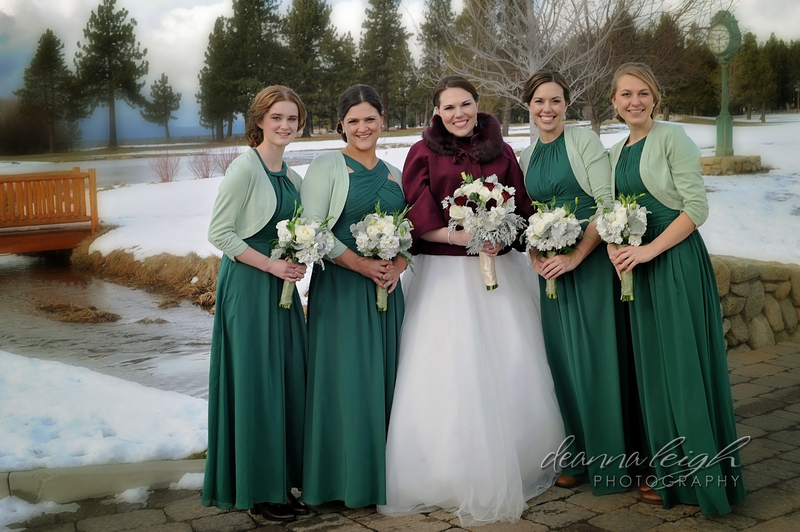 Their dream was for a winter wedding with a heavy chance of snow. The couple actually first began dating because of a snowstorm. They worked the same shift at a local store and since Whitney had grown up on the coast where it didn’t snow much, she was afraid to drive in the snow. Anthony would pick her up and take her home whenever it snowed. Their love story started with snow and the pair wanted to start their marriage with snow too! 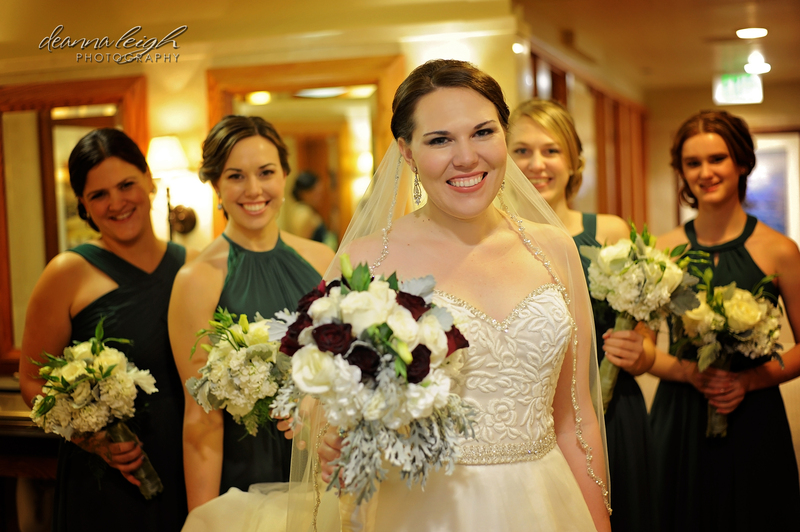 Whitney and Anthony both love Harry Potter, which they incorporated throughout on their special day. The bridal party walked out to music from the fourth movie, the cake topper featured a line from the last book and the bridal party wore golden snitch necklaces. 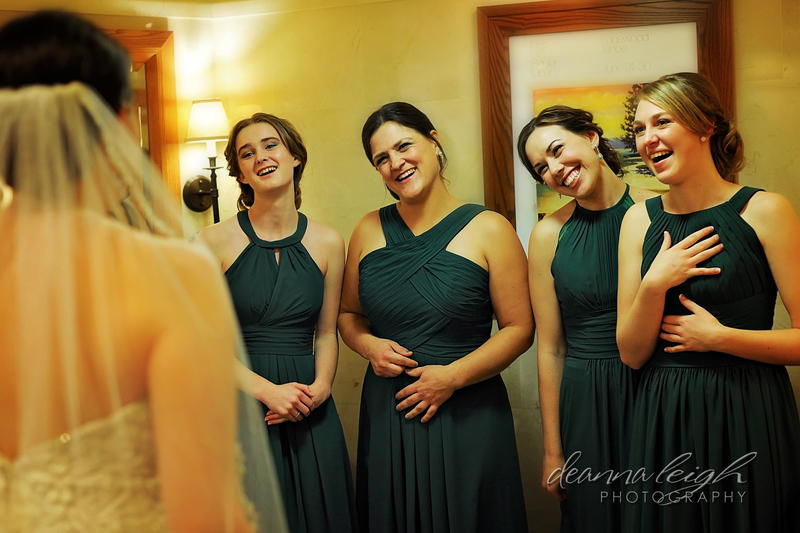 All photos credit goes to Deanna Leigh Photography. Q: Why did you choose this place to tie the knot? Q: Any words of advice for soon-to-be brides? Q: Where did you find about Azazie? Q: Wedding in one word.